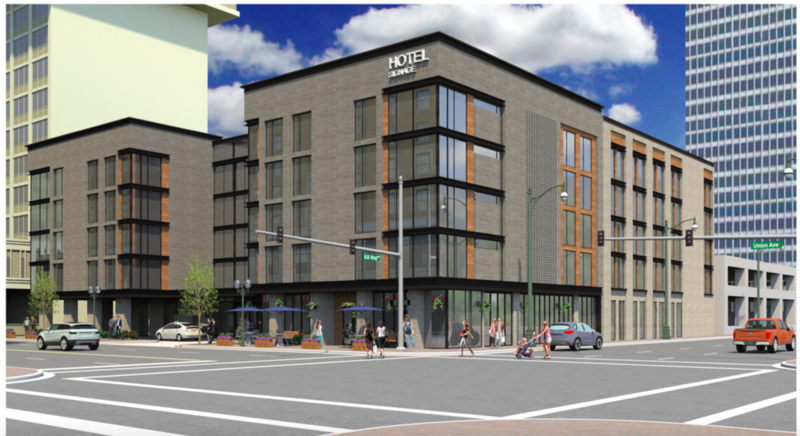 A rendering shows a proposed hotel for the corner of B.B. King and Union. A Rhode Island company will demolish the skeleton of the Benchmark Hotel at the corner of B.B. 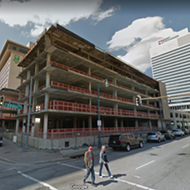 King and Union and build a four-star, five-story, $42 million hotel in its place if it can get help from the Downtown Memphis Commission (DMC). According to DMC documents issued Tuesday, MHF Memphis VI LLC, of Warwick, Rhode Island, wants a 15-year payment-in-lieu-of-taxes (PILOT) deal with the DMC to build the new hotel. The property has been vacant since 2011. In 2016, MNR Hospitality, tore the building back to the studs, leaving a massive, hulking skeleton in a prime-time spot Downtown. The DMC sued MNR in February to clean up the site. The company then sold it to MHF. 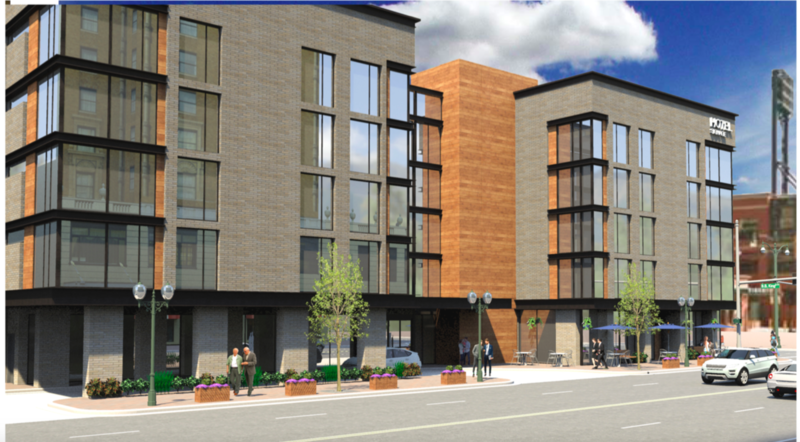 That company "will demolish the existing structure on site and redevelop the site as a 4+ star full-service hotel with approximately 170- keys. Existing basement parking will be used. The new 5- story hotel will feature a ground-floor bar/restaurant space at the corner of Union Avenue and B.B. King Blvd." The DMC staff recommended the PILOT for approval. The Center City Revenue Finance Corp. will vote on the deal next week. If approved, construction would begin in the first quarter of 2019.